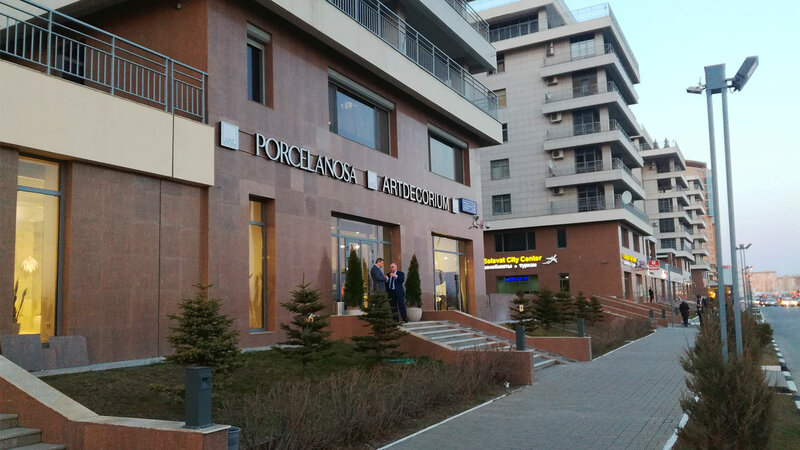 This residential complex is made up of 3 buildings with 5 apartments, which are in the city of Meylan. 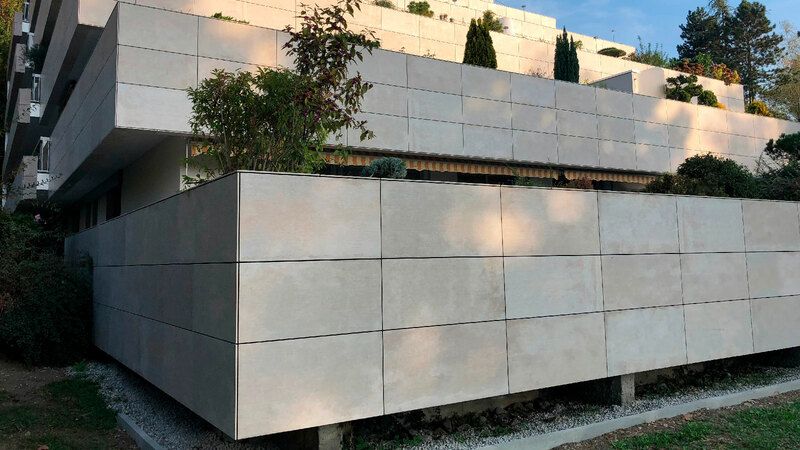 The Triconic architecture studio has used Butech solutions, along with STON-KERTM wall tiles from Venis, over the 4000m2. 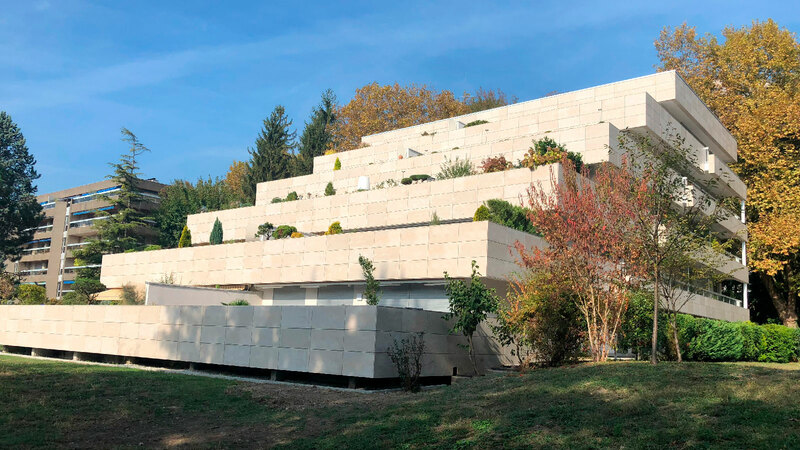 In the quiet city of Meylan in France, the Maison du Bois residential complex has combined modern 21ST century architecture with the beautiful scenery of the Alps. 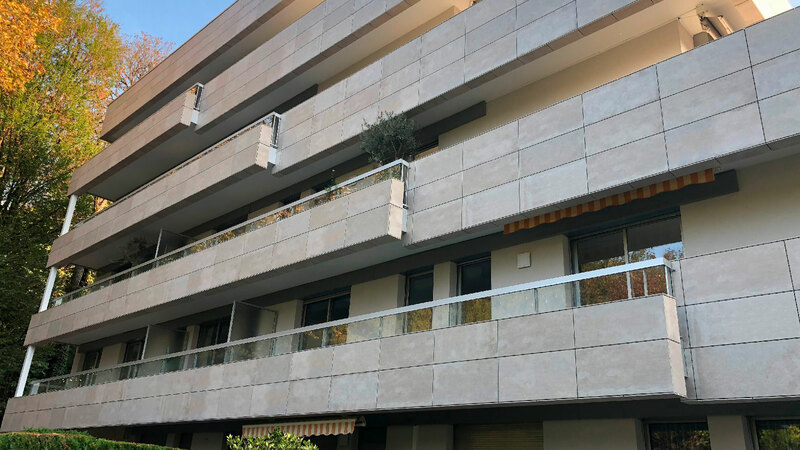 The three buildings with 5 apartments have seen the original concept redesigned with the incorporation of the ventilated façade by Butech and the Newport Natural wall tiles by STON-KER (Venis). 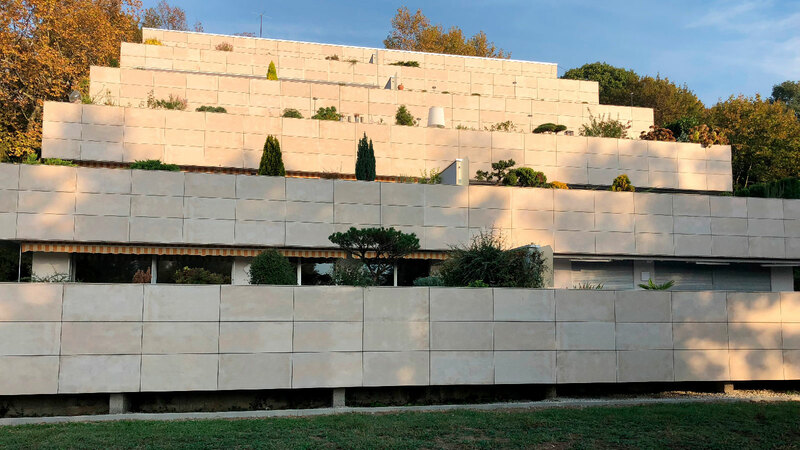 These are materials which the Yves Badaroux Triconic architecture studio has chosen, and furthermore, it has banked on Indigo Batiment’s involvement, a company that is well-known for its experience in ventilated façade installations. 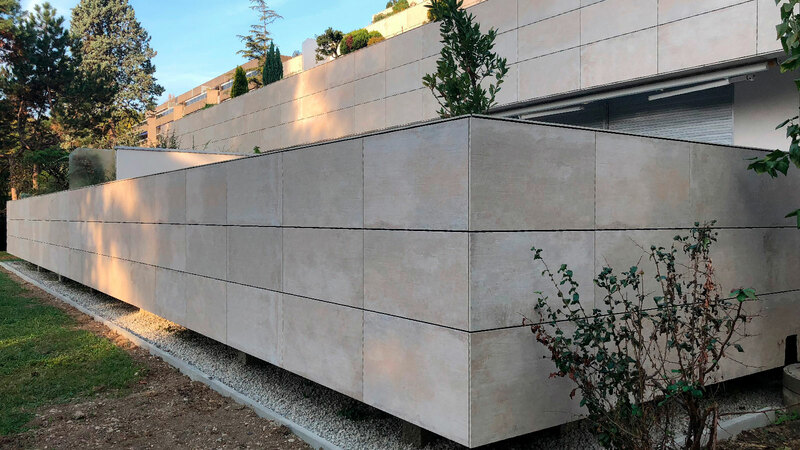 This facade system is endorsed by the “Scientifique et Technique du Bâtiment Centre” (CSTB) in France, through the 2/15-1700 Avis Technique regarding the STON-KER placement in facades with the hidden fastening system. 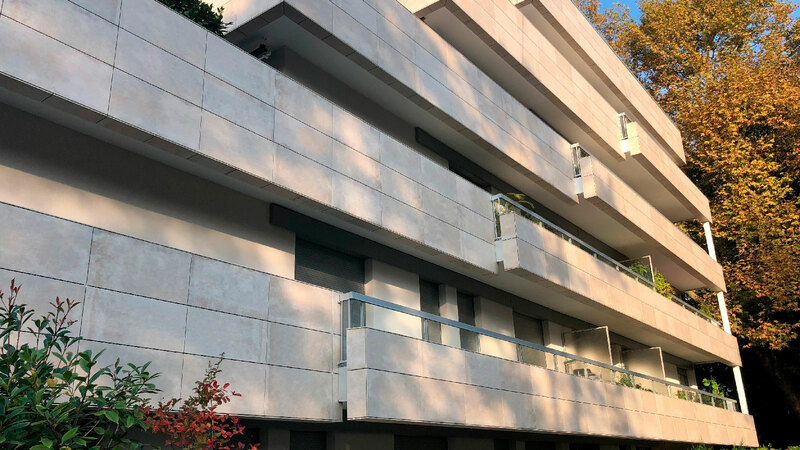 As with all Porcelanosa Group projects, Butech’s technical office has done the necessary calculations for the implementation of the façade, and the required technical support as well. Because of the place itself and the vegetation, this complex oozes charm. 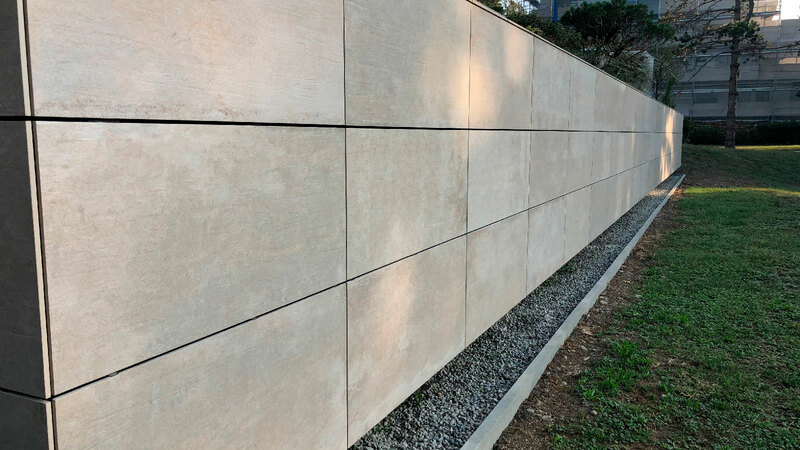 A natural area which the architect has managed to project even more in the facades of this residential complex with the STON-KERTM 60cmx120cm wall tiles. 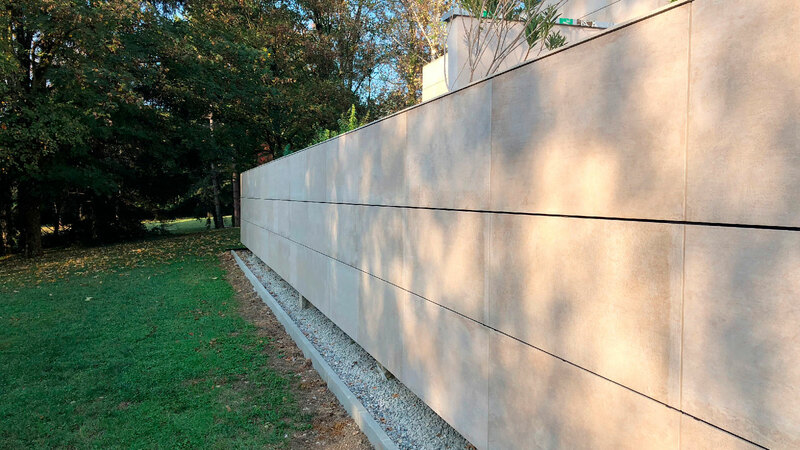 As well as being a material that is strong, tough and resistant against extreme weather conditions; STON-KERTM has now become an essential part of all types of related building work. 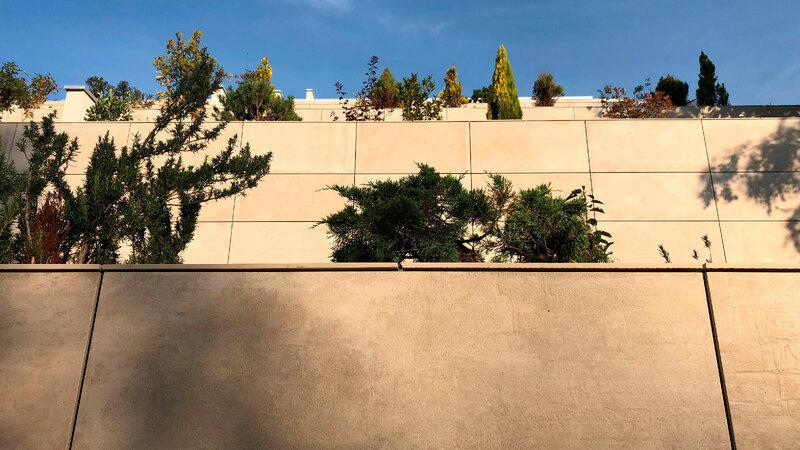 In relation to the set, the beige tones provide it with a renewed aesthetic which is strengthened with its placement and hidden fastening system. 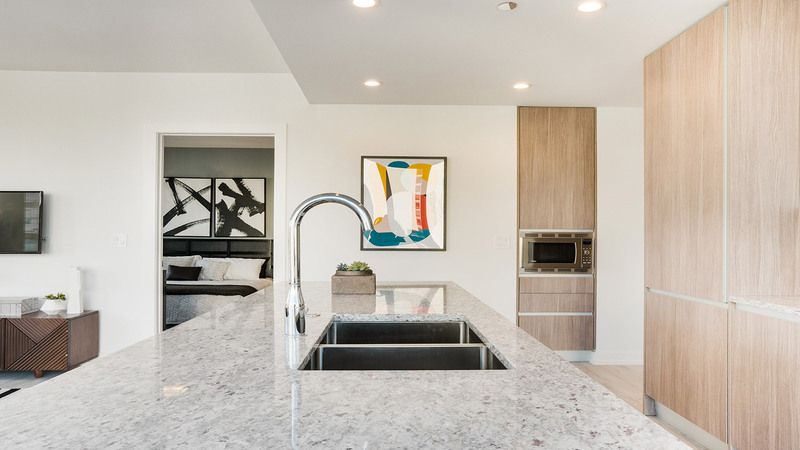 A system which opens the way for the air, as well as promoting greater energy efficiency. 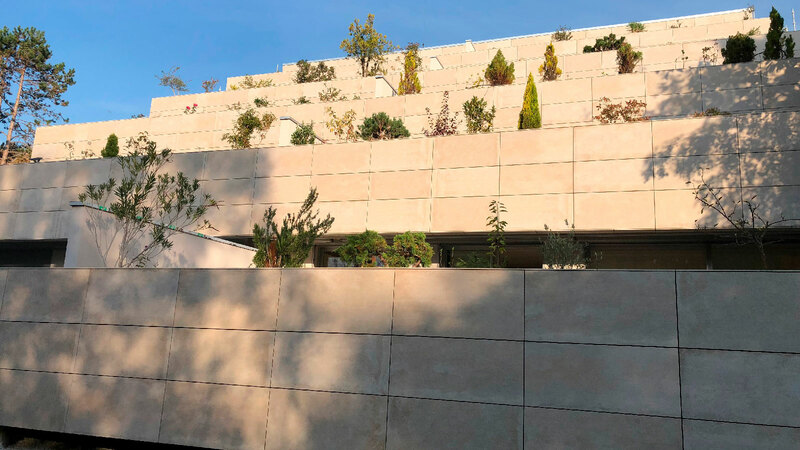 The ventilated facade, one of the best options for the placement of outdoor wall tiles, offers low maintenance, and it makes the tile replacement that much easier. 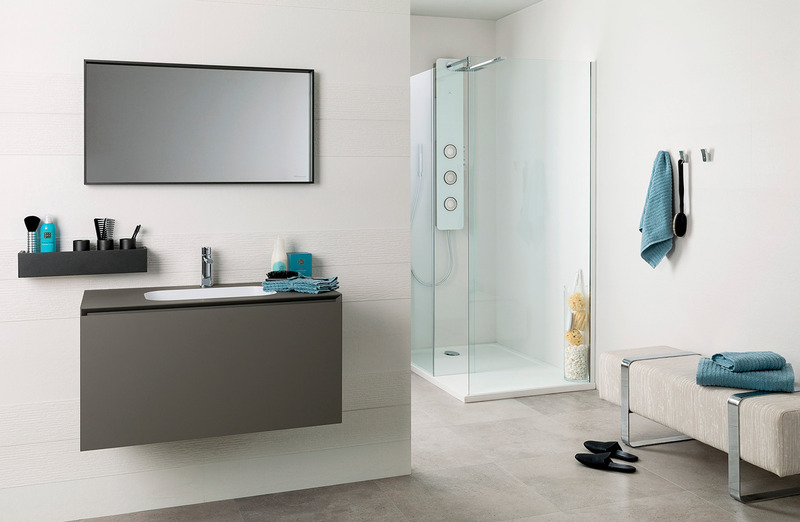 Technology and elegance in the same place.